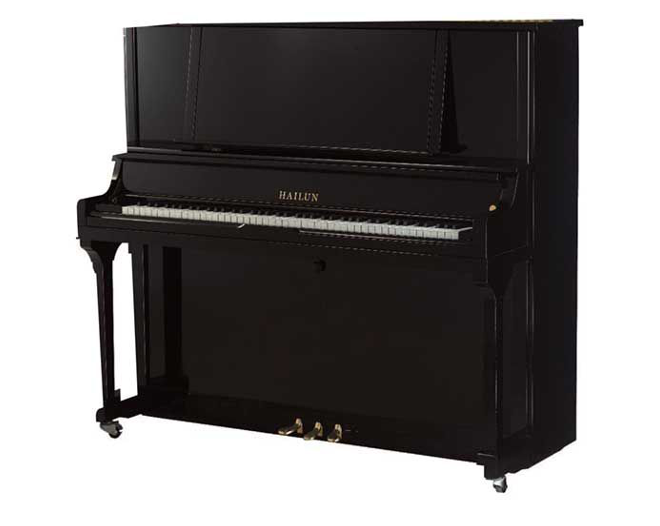 Powerful and expressive, the HU 7 / H 33 (scale design designation), 52.4″ Professional Upright delivers both touch and tone required by the most discriminating musician. Duplex scale in the treble adds richness, and the copper-steel bead on the Capo bar combined with the steel pressure bar result in clear termination and projection. Structural integrity and consistency of tone and touch are achieved through the PAS aluminum keybed, wet sand-cast plate, 6 backposts and multi laminate pinblock. The beautifully designed cabinet, with pull out music shelf and grand style slow-close fallboard, make this the perfect instrument for all genres of music. H: 133 cm / 52.4"
W: 156 cm / 61.4"
D: 65 cm / 25.6"